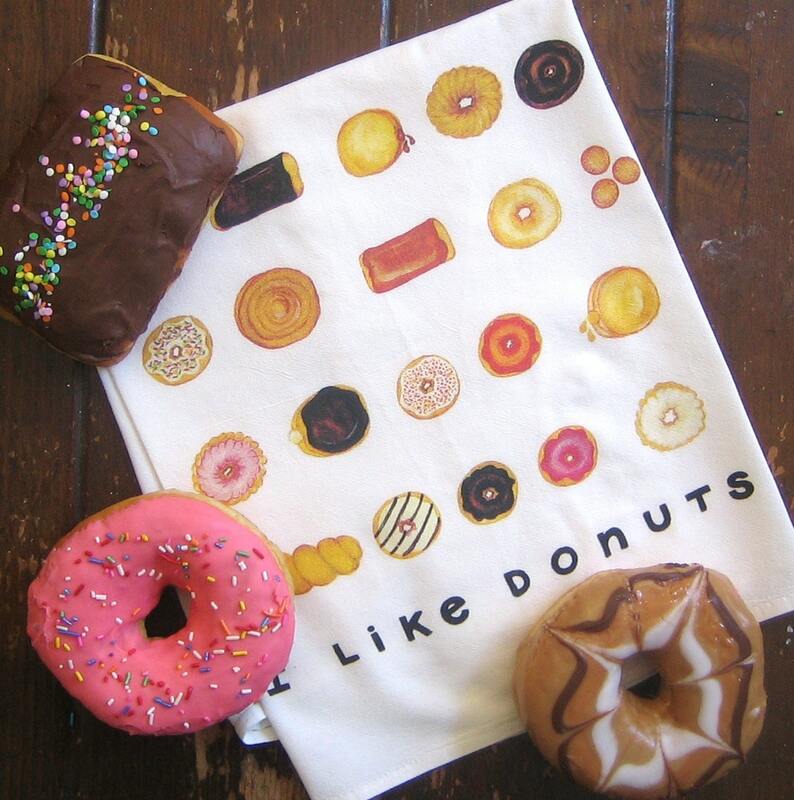 Donuts in all the traditional flavors to love and appreciate day and night, without the calories. 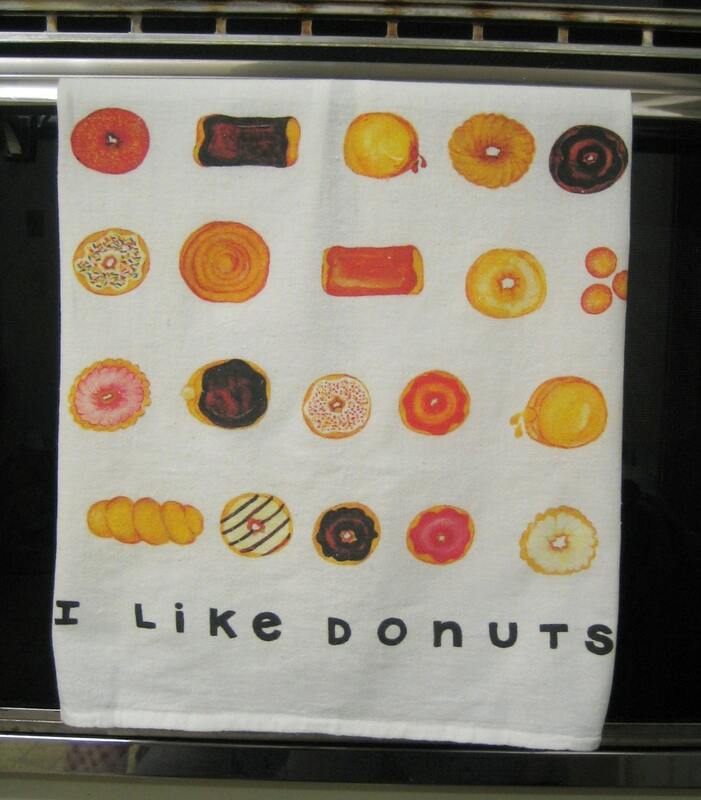 Design from original watercolor digitally printed on white, cotton, kitchen towel, nice weight, more refined than typical flour sack, 30X30 design 11" across on bottom edge, center. 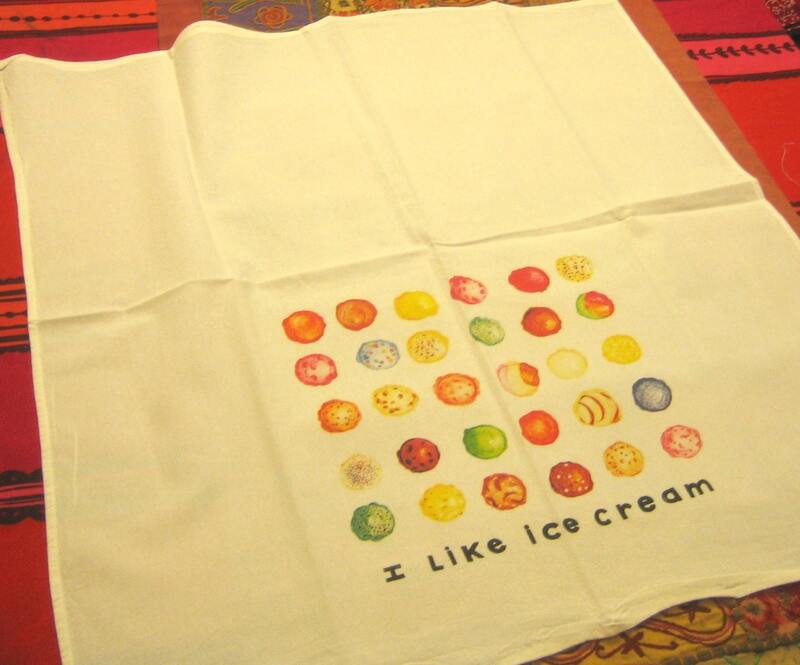 Please see photo showing design placement on towel as this is not an overall design but a picture on the towel. 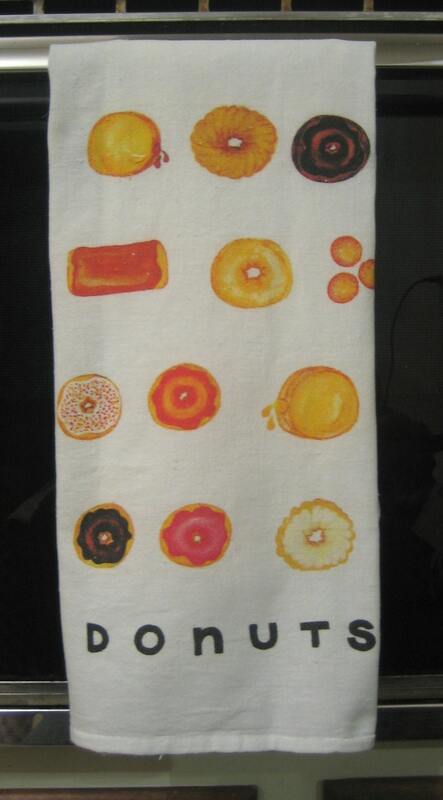 Towel is large as it is meant to be used, design is meant to be shown when towel is folded over oven handle or towel rack.